Senior apartments located 150 meters from the Plaza Mayor de Almagro. Its location allows you know (walking) all architectural monuments, without having to have vehicle. The area is quiet and strategic (free pedestrian streets and city parking and video surveillance) and allows you to reach the bus and train stations in less than 5 minutes. They are especially recommended for families, groups of friends and couples. 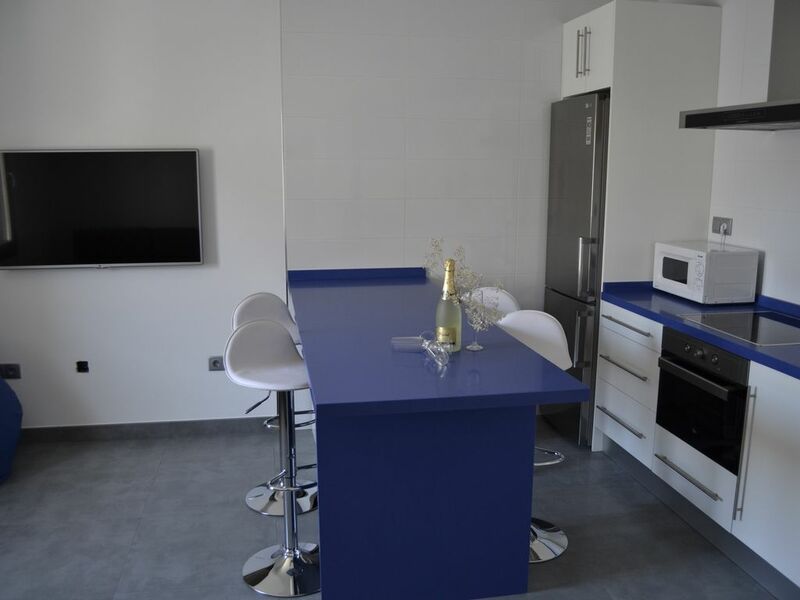 The apartments were opened in October 2015 and offer a comfortable and exclusive stay for guests who want to enjoy an unforgettable vacation, while respecting their confidentiality. Have large spaces, with special attention to materials and contemporary furniture and modern design, rooms filled with natural light (large windows) even in the bathrooms, patio with pool and barbecue, fully equipped with electrical appliances and fine accessories high-tech, double glazing (to eliminate any possibility of noise), air conditioning in all rooms, wifi and television SmarTV. From the entrance leads to a large hall and courtyard with fountain overflow in stainless steel (where access to any vehicle for receiving and removing the bags will be allowed). Porcelain tiles and fittings from leading brands. Weekends Enjoy a theatrical performance in the authentic comedy theater (works: The Trickster of Seville, adultery comedy virtuoso, the doctor sticks, appetizers Cervantes, La Celestina, La discreet love, Entre bobos anda game , etc...).